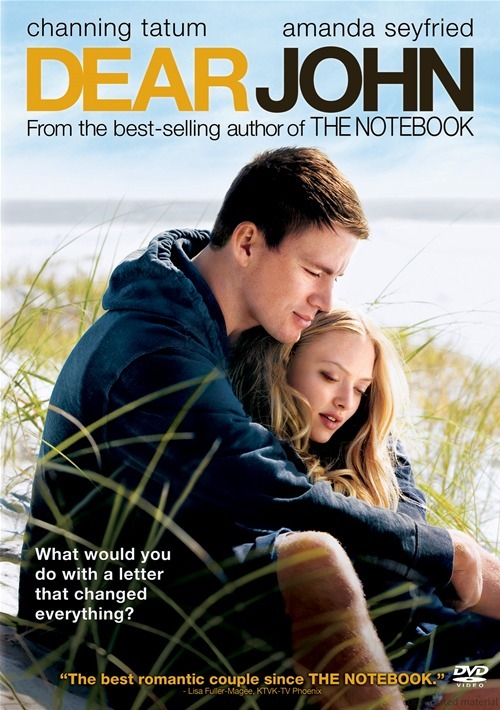 Those familiar with the sentimental cinema adapted from the books of Nicholas Sparks (The Notebook, Message in a Bottle) will no doubt enjoy pulling out their hankies for Dear John, a slick sudser stylishly handled by director Lasse Hallstrom (The Cider House Rules, Chocolat). Channing Tatum plays John Tyree, a Special Forces Army Sergeant on leave and staying with his father (Richard Jenkins). He meets college student Savannah Curtis (Amanda Seyfried), and the two become romantically involved, but his re-enlistment in the Army after 9/11 threatens their relationship. Breakups and love letters ensue. Adding to the drama of the dilemma faced by the two lead characters are Savannah’s friends’ disapproval of her soldier boy boyfriend, especially an overprotective neighbor (Henry Thomas) with an autistic son, and a secret handicap harbored by John’s coin-collecting, lasagna-baking Dad. Hallstrom doesn’t overstate the various conflicts, but instead uses a leisurely pace and quiet moments in the film’s “big” emotional scenes. He also gets some nice work from the hunky Tatum, the willowy, doe-eyed Seyfriend and the always dependable Jenkins. In reality, Dear John is a contemporary take on a 1940s “women’s picture” with the war on terror substituting for World War II, and the lead female character a bit more liberated but the male lead still gung-ho to his commitment to both fighting for his country and to his woman. It wears its schmaltz on its sleeve and is proud of it. It’s a weepie, all right, one that will give the tissue boxes of its intended audience a workout. hey there great post! Enjoyed it!